What Happens If Jesus Was Born in Times of Google, Facebook and Twitter? 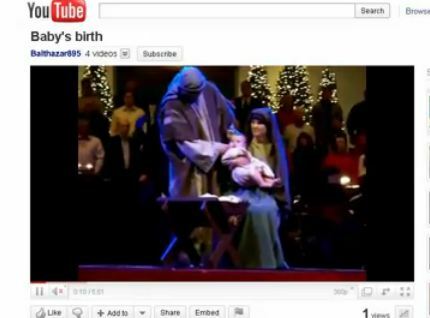 | Christian Life Today Christmas Story What Happens If Jesus Was Born in Digital Age? What Happens If Jesus Was Born in Times of Google, Facebook and Twitter? Few more weeks and it’s Christmas Day! It’s one of the most exciting time of the year. But before we get too excited, why not put our mind into a bit of creative imagination? Check out this Christmas Story told through Facebook, Twitter, YouTube, Google, Wikipedia, Google Maps, GMail, Foursquare, Amazon.etc. The digital age! It’s creative, funny, and clever. To some, this maybe offensive. I suggest, however, that before you criticize, please finish the clip until the end. There’s a beautiful message and the truth behind it. Wishing you a very Merry Christmas brothers and sisters, friends, and visitors! I hope you continue to visit and interact with us here in Christian Life Today. Merry Christmas to all and a Prosperous New Year… Thank you for this timely video you have shared. You’re welcome Heidi. Thank you for visiting Christian Life Today. Wishing you and your family a Merry Christmas and a Blessed New Year 2012!